XLS Medical Carb Blocker is a weight loss supplement designed to meet the weight loss needs of people who have become overweight or obese due to their love of high carbohydrate foods such as bread, pasta, and rice. The product is manufactured by Omega Pharma and the company’s corporate headquarters is located in Belgium, so it is possible that the tablets are also of Belgian origin. But it is hard to say for sure where they are manufactured because Omega Pharma are a leading supplier of over-the-counter health and personal care products and the company has offices in 35 countries. There can be no doubt about the integrity of the company. Omega Pharma have been trading since 1987 and many of their products such as TCP, Nytol, and Buttercup Syrup, are household names. 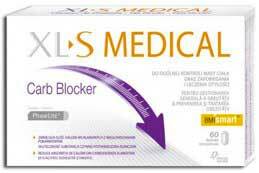 XLS Medical Carb Blocker is one of three weight loss products that the company market under the XLS Medical brand name. The other two products are XLS Medical Fat Binder and XLS Medical Appetite Reducer. 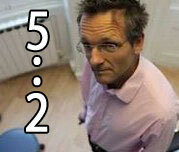 Can reduce your waist circumference by 8 cm in 4 weeks. What Is XLS Medical Carb Blocker and How Does it Work? 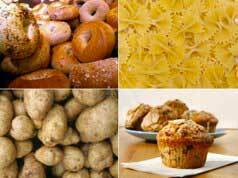 Like any carb blocker, XLS Medical’s product is designed to assist weight loss by restricting the amount of calories absorbed from ingested carbohydrates and promises to allow the user to continue their love affair with starchy foods without the risk of further weight gains. XLS Medical say their carb blocker achieves this by “reducing alpha-amylase enzyme activity in the carbohydrate digestion process” and promise the tablets can block up to two thirds of carbohydrate calories. Alpha-amylase is a protein enzyme found in many forms of plant and animal life, including humans, and the enzyme plays a crucial role in the digestion of starchy carbohydrates; so in theory any product that can block the production of alpha amylase can cause an increased amount of carbohydrates to pass through the body without being digested. It is a sound theory and many experts believe it to have merit, but there is consensus of opinion that further testing is required. Two tablets should be taken with water, three times a day, before meals. Use of the tablets should be continued for one month, or longer, depending on individual weight loss targets. According to the XLS Medical website “every XLS Medical Carb Blocker tablet contains PhaseLite, a standardized complex of glycoproteins from a GM free vegetable source”. In simple terms this means the blend is reliant on a patent-protected ingredient called PhaseLite. PhaseLite is natural fiber derived from some beans, including haricot and French beans. The ingredient is manufactured by the pharmaceutical company InQpharm and is only made available to other companies within the pharmaceutical industry. The results of a study conducted in Berlin, Germany, by Barbara Grube, M.D, and published in the journal Obesity, showed test subjects using PhaseLite lost considerably more weight than the members of the placebo group. XLS Medical’s carb blocker has benefitted from a TV advertising campaign in the UK and, bearing in mind the far-reaching interests of Omega Pharma, it seems likely that similar campaigns will have been utilized in many other European countries. Such reactions are admittedly rare though, and could possibly be attributed to another cause. 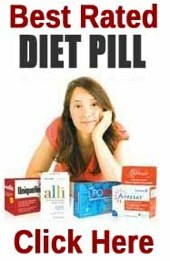 Pregnant and nursing mothers are advised to seek medical advice before using XLS Medical Carb Blocker or any other form of dieting supplement. The same advice is offered to anyone who has known health issues or any concerns about their health or fitness. Product purchases are protected by a guarantee. XLS Medical Carb Blocker is readily available all over Europe and UK customers will probably have to look no further than their local pharmacy. The product can also be purchased online from Amazon, eBay, and many other online stores; but prices vary. It pays to but from highly reputable stockists that will offer a money back guarantee. The XLS Medical website does not have an online store, but it does provide a useful online tool for calculating BMI and lots of weight loss tips and advice. 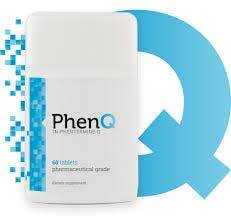 A product we highly recommend is PhenQ, a fat burner that is available to buy without prescription that is said to help users burn around 280 calories per serving – equivalent to cycling to 40 minutes.